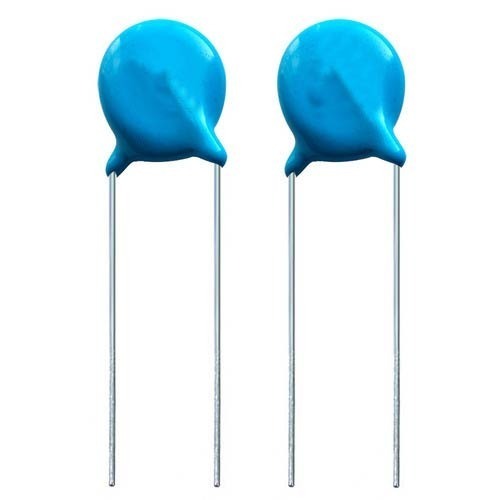 To fulfill the diverse requirements of our clients, we are passionately engaged in offering to our clients a wide range of Safety capacitor X1Y2. These products are designed by skilled professionals utilizing high quality raw material & modernize technology. Incorporated in 2006, Swastik Radio, are prominently ranked amongst the topmost wholesaler, retalier, trader and importer of Electrolytic Capacitors, Glass Fuse, Metalized Film Capacitors, PPTC Resettable Fuse, Variable Resistor, X2 Capacitors, Ceramic Disc Capacitors, Multilayer Capacitors, Safety Capacitor X1Y2, Induction Cooker Capacitors, Metal Oxide Varistor, PTC Thermistor, Rectifier Diode, Bridge Rectifier, Zener Diode, Auto Fuse, Excel Type Glass Fuse, Schottky Diode, LED Diode, Power Transistor, Tact Switch, NTC Thermistor, DC Motors, SMD Diode and many more. All these products are procured from industry known vendors who have rich industry skill and experience. The offered range is stringently examined upon various parameters by quality checkers using latest testing tools and equipment to make sure flawless deliveries to user's end. Our product range is extremely appreciated by our customers for their incomparable features like optimum performance, industry approved design, reliability, trouble free functionality and enhanced service life. In addition to this, the offered range is available in diverse configuration and technical specifications at reasonable costs.